Summer usually brings with it a certain slowdown. This is no different for school and parish life. School is out; religious education classes and Bible studies and the like go on hiatus. One of the perennial problems faced by parents and parishes is how best to continue to catechize and educate children over the summer. 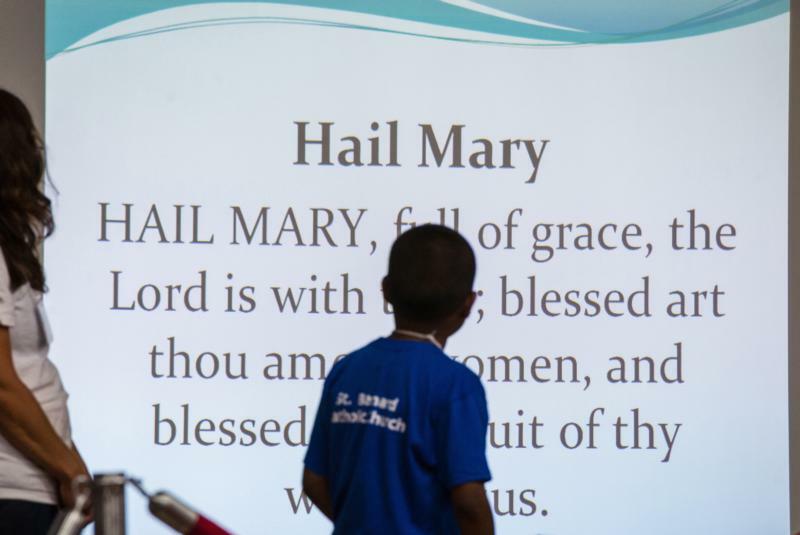 Many parishes offer a weeklong Vacation Bible School, typically using one of a handful of curriculums, which means many or most nearby churches may be using the same one. Largely volunteer-based, both volunteers and parents may ask themselves the same question: Is it worthwhile? When Amanda Cords was in high school, she volunteered for a Vacation Bible School program. “I thought it was a very fun, positive and uplifting experience for the kids,” she said. A few years later, that experience led down the road to a position at Holy Family Catholic Community in Fond du Lac, Wisconsin, where she is the elementary and middle school formation coordinator. Among her many other responsibilities, Cords coordinates the parish’s Vacation Bible School program. She brings a unique perspective to the experience, having been a volunteer as a teenager and now is the coordinator. The summer of 2017 was her first year organizing a Vacation Bible School program for Holy Family. “I believe that my work with Vacation Bible School has been worthwhile,” said Cords. She has gotten great feedback from parents, she said. Some parents tell her that they collect the CDs they receive from Vacation Bible School and that’s all their kids want to listen to in the car on road trips or on the way to school. Not everyone has a gift for working with children, but for those looking for ways to volunteer at the parish, Cords encourages Vacation Bible School. There are those who see certain issues with a typical Vacation Bible School program, as well. In many places, enrollment in Vacation Bible School programs and volunteer numbers are not high enough to allow for a program in each parish. This means that several parishes unite to put on one program, which results in logistical problems like long drives and unfamiliar places for some families. It is important to continue to catechize children, even throughout the summer. Vacation Bible School is one way that this can be done in a fun, but still educational, atmosphere. Vacation Bible School might not be for everyone. Programs are offered quite widely, and parents will have to discern whether it is best to send their children for this week of summer spirituality.